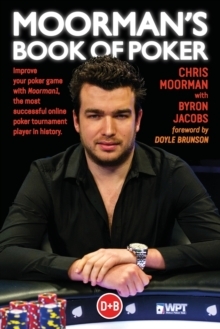 Chris Moorman is the most successful online poker tournament player in history. *Leads the industry with more than $11 million in online cashes*Excels on the tournament circuit with over $4 million live cashes*Placed in the top three in online tournaments 651 times to date Many strong poker players have written books explaining their thought processes. However, players at the low- to mid-stakes who want to advance to the highest levels find the leap a daunting one. Chris, through years of hard work, has achieved this advance and now wants to help you do the same. 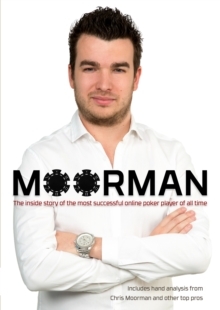 Moorman's Book of Poker has a unique approach. Chris analyzes 80 tournament hand histories played by co-author Byron Jacobsa typical mid-stakes player. The adoption of a coaching format allows Chris to explain in clear detail exactly what is needed to progress to the next level of expertise.